Angela Morrison joined CJC in 2017 as a Policy Associate. Angela brings extensive experience in workforce development service delivery and project management. 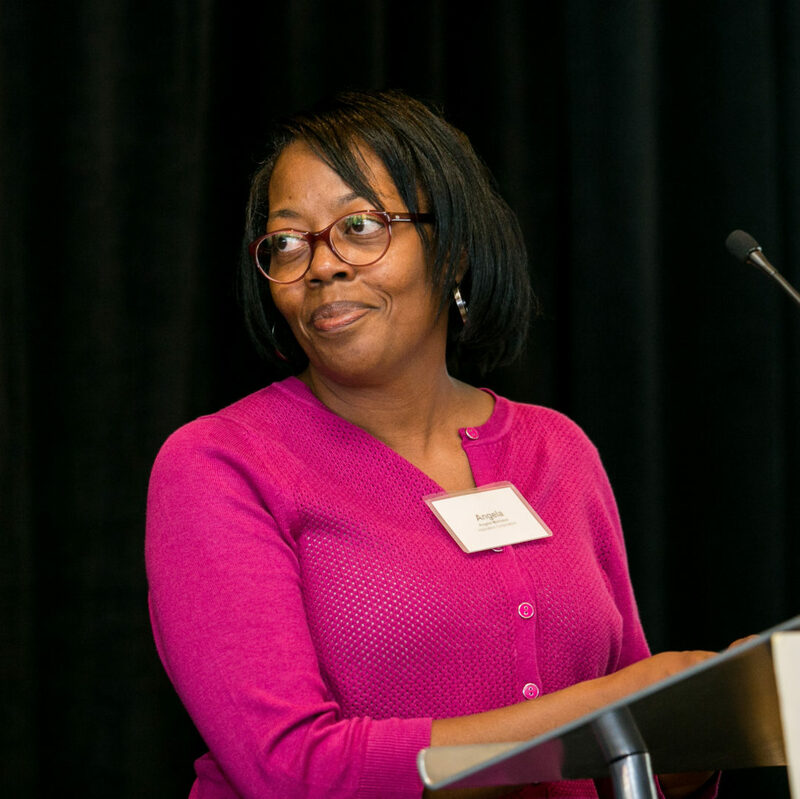 As a Policy Associate, Angela stays abreast of key workforce policy on the federal and state levels, and shares this information with providers in a number of ways, including at regular Workforce Development Working Group meetings. Angela enjoys collaboration. Her prior work history includes leading a collaborative of over 24 non-profit organizations that leveraged their employer relationships to better serve their client populations. She is great at building relationships with partners and stakeholders. She believes all individuals should have access to fair and equal employment, housing, and human rights. Angela started exploring service delivery through her first work experience in high school as a waitress at F. W. Woolworth.